It's not every day you see a police pursuit taking place in the river Thames like something out of a James Bond film. That is what one witness captured on video as police boats zoomed after four jet skis like the 1999 scene from Pierce Brosnan's The World Is Not Enough. The four jet skis were being pursued by Scotland Yard's marine policing unit but things got too hot and they had to call off the chase. The jet ski bandits made off past the Greenwich Peninsula towards central London. The scene took place Friday and footage taken by a witness shows Scotland Yard marines in hot pursuit. 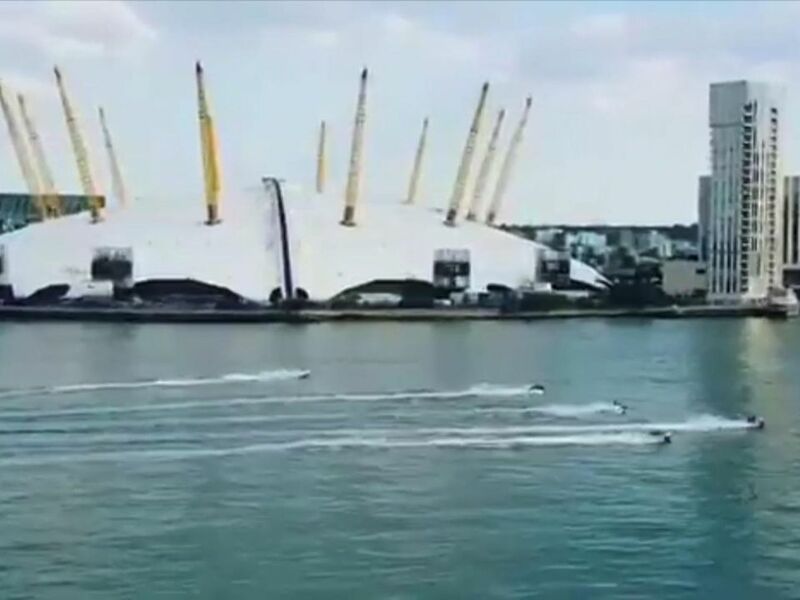 A video shows the jet skiers zipping around tot he west of Canary Wharf and that is where they made their escape around the Isle of Dogs. Police considered the maneuver enough of a victory saying they were "able to make them change their course". A Scotland Yard spokesperson added, "The decision was taken to no longer pursue the jet skis for safety reasons." Boating on the river Thames is a highly regulated matter and is strictly monitored both for safety and environmental reasons. Law does not allow Jet skis or any other "personal watercraft" upstream of the Thames Barrier, just east of where the jet ski pursuit began.